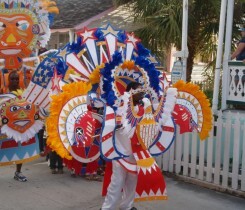 Bahamas Junkanoo Revue Inc was founded in 1996 by Mr. Langston Longley and Mr. Clinton Neely, two dynamic Bahamians who migrated to Florida and brought with them the tradition of junkanoo. Our primary objectives is and will always to entertain our patrons and their guest with the rhythmic and authentic sounds of Junkanoo music. 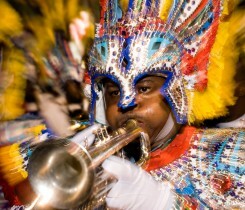 Our performances include traditional fine crafted costumes, and vibrant percussive music which are prominent symbols of the Bahamian culture. 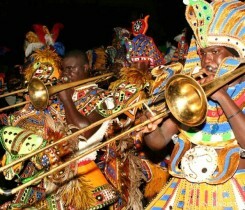 For the past four decades, hundreds of thousands of people in the United States have been treated to spectacular junkanoo performances done by our company.